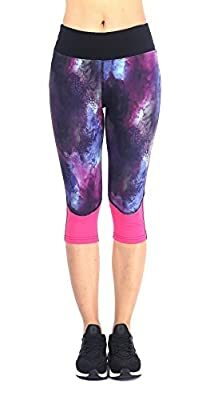 The Tummy Control Yoga Capris are the affordable by Sugar Pocket yoga Capris whether you're working out in the gym or lounging at home. 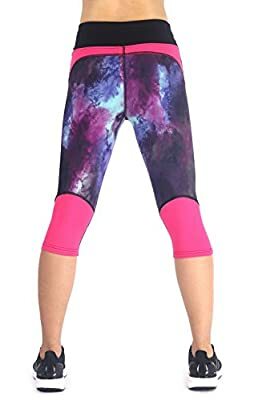 Sugar Pocket Yoga Capri four-way stretch high-quality material minimizes the rubbing and chafing but maximizes your freestyle sports experience. Lightweight poly-stretch blend provides all-day comfort and unhindered mobility. 2 side pockets carry keys, small ipod hands-free.Side Pocket also available for 4",4.7",5",5.5" mobile phone.Our side pocket pants are great for yoga and every day wear. Deep full-sized pockets on the hip are great for storing your stuff! Some item have Hidden pocket no side Pocket,please review photo detail. Quick-drying, stretchy, breathable material wicks away sweat to keep you cool ?lightweight fabric suitable for fitness enthusiasts, giving you a streamlined look. 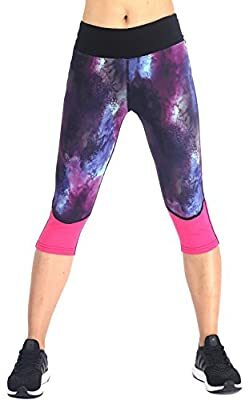 Wide and super comfortable waistband with elastic on the top to prevent the leggings from falling off your waist Sugar Pocket Yoga Capri Perfect for yoga,dance,jogging,running,gym,fitness,aerobics,pilates or other exercise,any type of workout,everyday casual lounge wear pants.